Luxury travel brand Cunard has partnered with WSET, to launch the first ever WSET certified wine and spirit courses to be available on its flagship ocean liner Queen Mary 2. 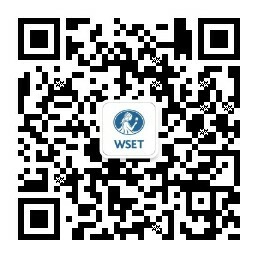 WSET works with Approved Programme Providers in over 70 countries to offer its qualifications to interested enthusiasts and industry professionals, ranging from Level 1 Awards in Wines, Spirits and Sake to the prestigious Level 4 Diploma in Wines and Spirits. The partnership with Cunard is the first time WSET courses will be available to guests on a transatlantic or round-world cruise line. WSET courses will initially be available on Queen Mary 2’s Westbound Transatlantic Crossings and World Voyage trips with plans to extend courses to Queen Victoria and Queen Elizabeth later in 2017. Classes led by WSET Certified Educator Andrés Solís Lira who, having been born at the foothills of the Andes Mountains in what is now the Cachapoal wine country, has worked in the wine world for the past decade joining Cunard in 2009 as a sommelier on Queen Mary 2 and rising to the position of educator for the Cunard Wine Academy. Guests aboard Westbound Transatlantic Crossings from Southampton to New York can embark on a five day course to achieve WSET Level 1 Award in Wines. The course gives a hands-on introduction to the world of wine in an interactive and relaxed atmosphere for beginners. The course covers the basics of wine types and styles through sight, smell, and taste, as well as how to store and serve wine and pairing food with wine. Guests aboard Round World Voyages from Southampton to Cape Town, Cape Town to Fremantle, Hong Kong to Dubai and Dubai to Southampton, can participate in a 12 day course to achieve WSET Level 2 Award in Wines and Spirits. The beginner to intermediate level course is for enthusiasts seeking a core understanding of wine and spirits. It explores the major grape varieties and the styles of wines they produce as well as important wine regions in which they are grown. Participants also learn about key classifications and labelling terminology and are given a basic overview of the key categories of spirits and liqueurs. Each of the courses finishes with a multiple choice exam, and, on passing, candidates receive a globally recognised WSET qualification certificate and lapel pin as proof of their new knowledge. The premier voyage to offer WSET courses will be the Westbound Transatlantic Crossing departing Southampton on 15 December 2016. The first Round World Voyage offering WSET courses will set off on 10 January 2017 from Southampton to Cape Town. Guests can book a WSET course by calling Cunard ahead of their journey or speaking to the sommelier whilst on board. The WSET courses are the latest addition to the cruise line’s extensive wine credentials. Queen Mary 2 is renowned for having one of the finest wine lists at sea while The Cunard Wine Academy offers an all sensory experience of food and wine pairings, tastings and producer master classes for guests.